People look at me funny when they find out I like to eat liver. I enjoy them in all variations be it goose liver foie gras in a fancy restaurant, Ankimo monk fish liver at a sushi bar, beef liver and onions in a cafeteria, or Southern Fried Chicken Livers at home. Whenever I have a hankering for fried chicken (one of my fav comfort foods which I learned to cook from my Texas Tech days while working in the jock cafeteria), I always try to fry up a batch of chicken livers to go with the fried chicken. 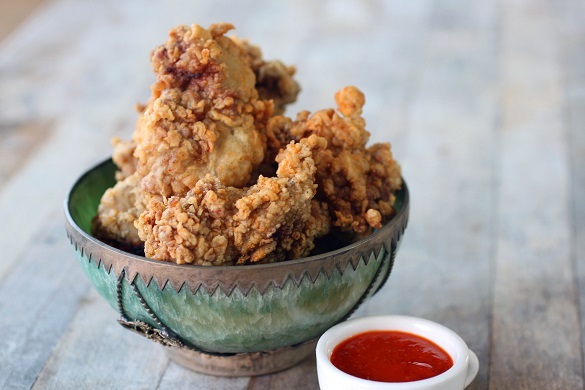 I long for the day when fried chicken livers are mainstream at KFC, Popeyes, or Churches. Since there is little chance of that happening (restaurant Exec are you reading this? ), I’ll keep making my own. If you so happen to also like fried chicken livers, here’s your chance to enjoy these delectable little morsels. The key to great tasting liver is to soak it in buttermilk overnight to mellow out any gamy flavors. 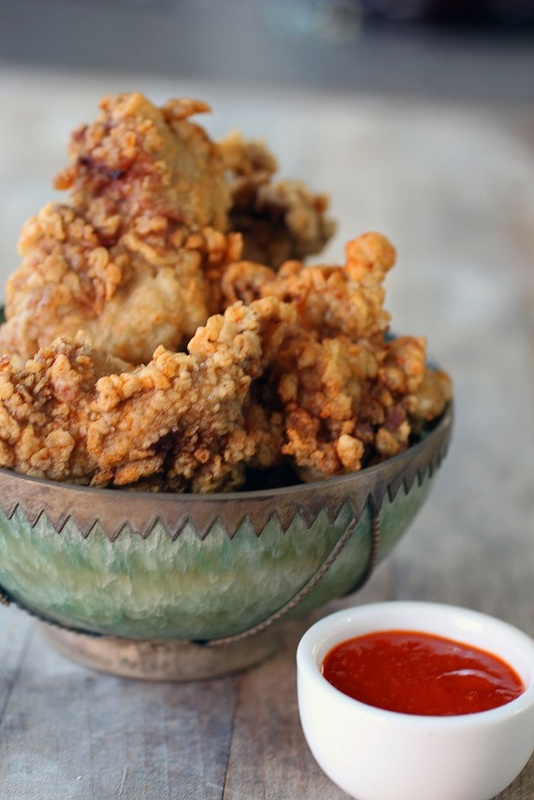 If liver is not your thing, try my Slapilicious Fried Chicken recipe instead. Pour out tub of chicken livers in a colander under running water. Rinse the livers and use a scissors to trim off any veins or non-liver parts. Pat dry. Sprinkle a medium coating of SYD Competition Meat Rub on all sides. Sprinkle cayenne pepper if you like your livers spicy. Place seasoned chicken into a bowl dish and pour enough buttermilk to completely cover the chicken (about ½ qt). Cover with clear wrap and let rest overnight in the fridge. When you’re ready to cook the livers, mix 1 cup of flour with ½ tablespoon of baking powder and 1 tablespoon of SYD Competition Meat Rub. Drain livers in a colander for 5 minutes. Dredge chicken livers in seasoned flour mixture. Let rest on wire rack for 10 minutes to dry out and then recoat. Shake off excess flour. Preheat your cast iron pan with 2 cups of lard; or 2 cups canola oil to 360°F. Fry in small batches. Turn over when one side is brown. The liver should be done in 3-6 minutes depending on the size of the pieces and the quantity you have in the pan. Repeat for remaining pieces. Drain livers thoroughly on paper towels, sprinkle some finishing SYD rub, and serve immediately with Sriracha hot sauce, blue cheese, or ranch dressing as a dipping sauce.